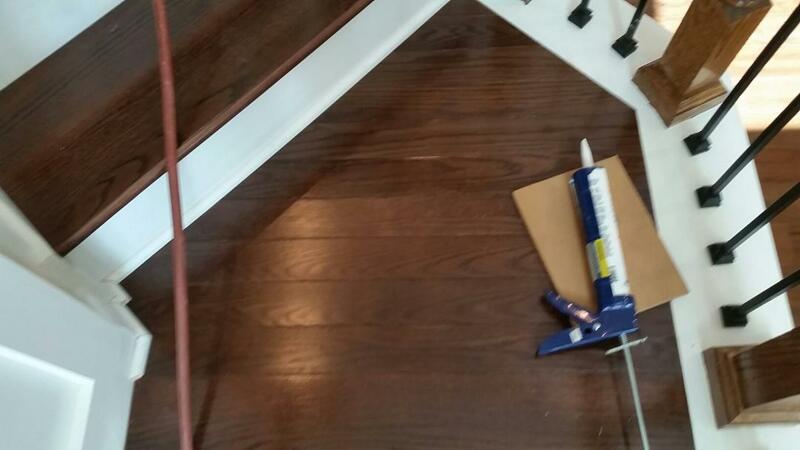 We could have used hardwood flooring to cover that funny-shaped area in the middle of the stairs, but it wouldn't have matched up to the color and sheen that this customer selected for their new retro treads so we used our new landing panel system for a much better match in terms of color, sheen, etc.! Landings in the staircase are usually around 3' x 3' or 4' x 7' (or sometimes even an unusual shape like this one) and are used to change the direction of travel up or down a set of stairs. They allow us to traverse to an upper level and reduce the footprint of the staircase on a floorplan. 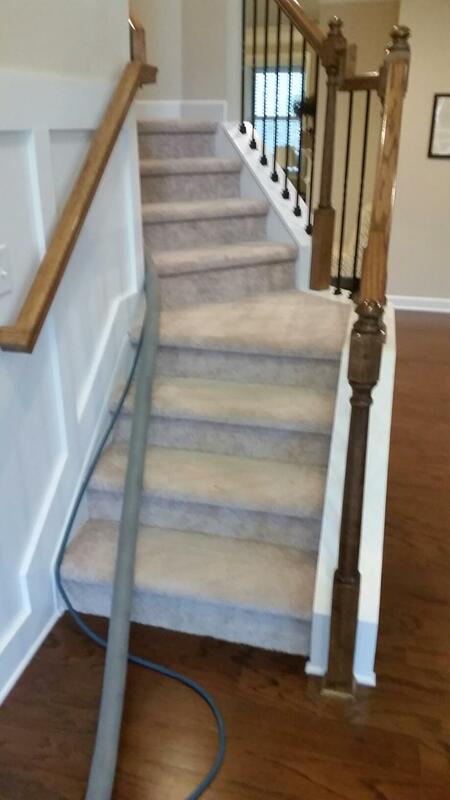 Since the landing is part of the staircase, you don't want something "close enough." Our landing panel system allows you to use the same material/species/color as the stair treads, and since they're finished at the same time as your new stairs, you'll have a beautiful set of stairs that doesn't look like patchwork. We've made these landing panels specifically to address the switch-backs or intermediate landings in your staircase that you want to cover with wood. Right now, we're only manufacturing this in Red Oak but we make it at the same time as your retro treads so the end result will be the same color, gloss, etc. 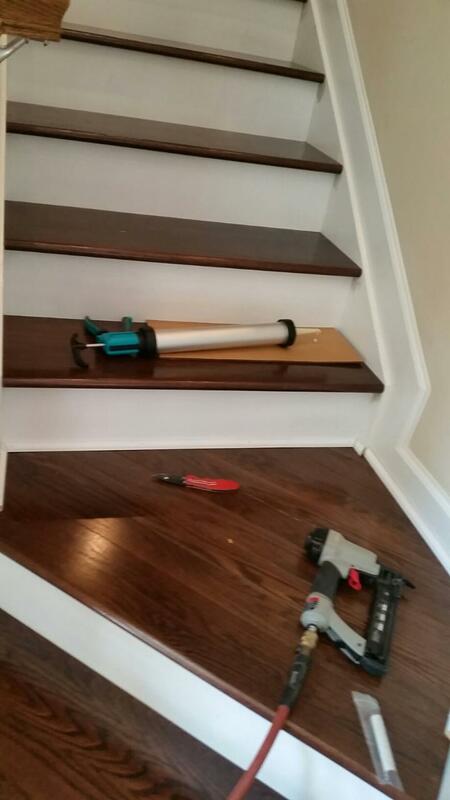 and will create that consistent, flowing look throughout your staircase. 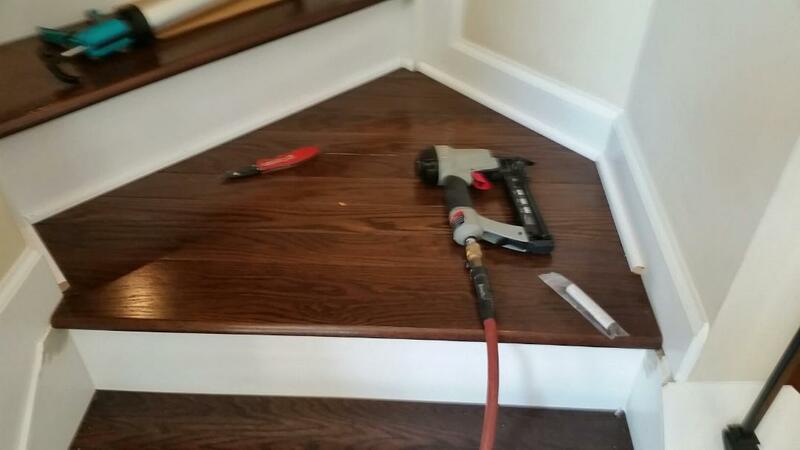 Along the leading edge of the returns, you'll need a landing tread (http://www.stair-treads.com/moulding-and-accessories/5-1-4-landing-tread.html) to give the system that final bullnose (rounded section on front) and if you'd like to call us directly at (866) 429-0979, we can talk you through any additional questions you have and be happy to work up a total estimate for your project. - 10 traditional closed box retro treds (36") in the gunstock colour. - a landing panel system (gunstock colour) to cover an area 36" x 38" complete with a leading bull nose edge 36". Could you please advise price and any border taxes applicable. I would need delivery of both packages at the same time.